Abble Awning are tailored directly to your needs. We are proud to offer only the highest-quality enclosure fabric products, and make sure that our customers receive something that is long-lasting, superbly designed, and requires very little maintenance. The durable metal frames that we use for our enclosure services are offered in a wide variety of shapes and are extremely durable. Customer satisfaction is our top priority, and we want to make sure that you end up with a satisfying product that can last a lifetime. Let the experts at Abble Awning meet all of your residential and commercial enclosure needs. From the manufacturing of our products to the installation in your home or business, you can rest assured that you are receiving top-quality service from trained professionals. 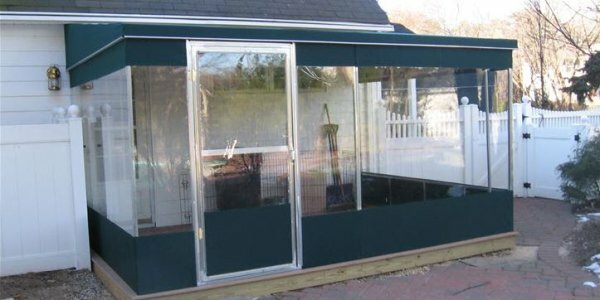 Call our Long Island area office today at (516) 822-1200 and schedule your free enclosure estimate!